And so it was that Javier Olivan would join Facebook in 2007, not long after receiving his MBA. By 2008, his team tested a user-generated content translation-mode version of Facebook, initially in France. They released the product at the end of the day, and upon returning to work the next day it appeared that there was a bug. The program’s tracking statistics indicated that tens of thousands of lines of code had been translated, and that users were already flocking to the French version of Facebook. In fact, the translation program had gone viral, and would prove successful beyond expectations. 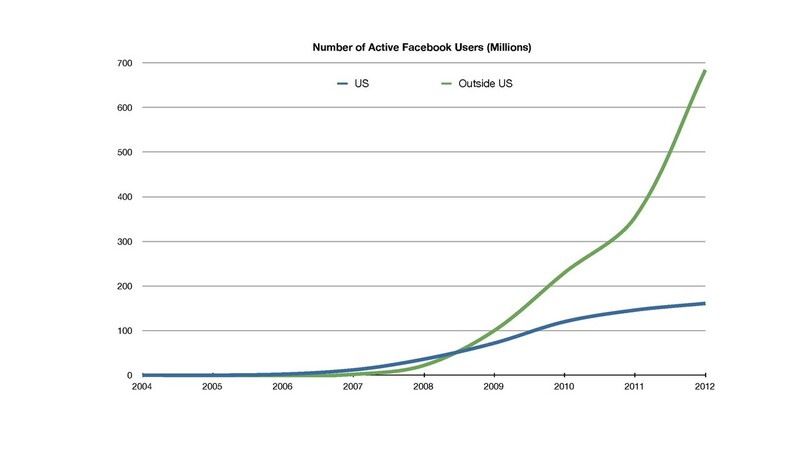 Within a month, Facebook would launch in over 40 countries. 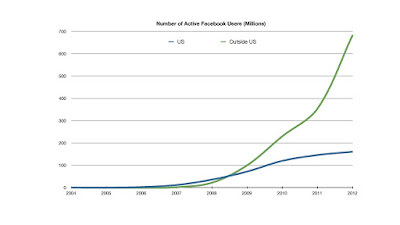 Looking back at Facebook’s growth over time, Javier’s arrival at the company coincides with a clear kink in its growth trajectory – the point when it transitioned to become a global giant. Javier Olivan’s story is the archetypal success path for a budding leader: To join a company and spur tremendous growth. Some people even list growth claims next to each job on their resume. But what about those who try to grow and fail? In fact, research shows that many attempts to accelerate organizational growth go awry. Often these attempts fail to produce growth at all. Worse yet, some succeed in triggering growth initially, but then send the firm into a death spiral not long thereafter. Why are some growth initiatives a great success, while others end in failure? The difference comes down to one word: Strategy. Growth succeeds when it builds on, and reinforces, a company’s source of advantage. For instance, MercadoLibre has grown since the late 1990s to become the leading platform in Latin America for internet commerce. While it started out looking very similar to eBay in its strategy, soon it evolved to serve as an online marketplace for business-to-consumer traffic with a variety of features that have proven to be especially attractive to customers in Brazil, Argentina, Mexico, and elsewhere in Latin America. The company’s strategy was unique to its context, including its own payment system and an order-fulfillment system both designed to deal with the special circumstances found in Latin America. These features soon paid off. For instance, the company experienced a surge of growth as customers responded very positively to the “MercadoPago” payment processing system, including many customers who previously had difficulty engaging in e-commerce. MercadoLibre’s steady, organic growth stands in stark contrast to DeRemate, an early rival. Initially, DeRemate grew much faster by acquiring other startups in an attempt to build a large user base. But lacking any clear source of advantage, DeRemate soon saw its growth rate stall. Ultimately the company would fall by the wayside as MercadoLibre steadily maintained its growth trajectory. The difference here is more than just the pattern of success vs. failure. The difference is that MercadoLibre’s growth has been guided by a clear understanding of its source of advantage. Each move made by the company’s leadership was designed to build on and reinforce that advantage. By contrast, DeRemate pursued growth, but did so without identifying and building on a clearly defined source of advantage. The lesson: Growth without strategy cannot be sustained. For companies pursuing a low-cost advantage in their markets, growth is especially attractive. With growth, a company’s fixed costs are covered by a larger and larger revenue base, driving down average costs. Examples of such growth abound, but Walmart is particularly instructive. That company invested in sizeable assets, including information technology to control inventory and its own fleet of trucks linking an elaborate warehouse and logistics network. As the number of Walmart stores grew, these investments were then shared by many more establishments, driving down costs. These lower costs, in turn, made Walmart more competitive, further expanding the organization in a classic virtuous circle. If you are seeking to grow a cost advantage, pay attention to organization. Your deployment of people, organizational structures, and work routines all must reinforce the low-cost strategy. Your organizational culture, too, should also reflect a primary concern with cost minimization. In short, your strategy should guide how you organize growth. In contrast, some firms grow by building on a high-perceived-quality competitive advantage. For instance, high-end hotel chains such as the Four Seasons or Ritz Carleton charge a much higher price than budget hotels and deliver a luxury experience, and they do so at very large scale. Attention to detail, spacious and opulent facilities, and extremely responsive service set these hotels apart. Growing such a high-quality strategy is a tricky proposition, because increasing scale does not automatically reinforce the strategy as it does in the low-cost case. If anything, increasing scale threatens to dilute quality, replacing distinctiveness with the “cookie cutter” output typical of mass production. For this reason, growing a high-quality firm requires constant attention to replicating quality. In the luxury hotel example, leadership paces growth so that each new property maintains quality. New structures are given unique designs, or in some cases are acquisitions of classic hotels. New employees are trained first in existing, high-performance properties before being deployed into new locations. And system-wide, standard operating procedures make sure that service at every hotel is at the highest level. To scale high-quality successfully, your strategy must be your guide. It may seem obvious that growth should build on your competitive advantage, but very often companies fail to abide by this rule. The reason is that growth often changes a company’s circumstances in ways that leadership does not understand. Worse yet, increased scale and complexity make it harder for leadership to diagnose their situation. So it helps to review a few of the common ways that companies fail as they try to grow. Sometimes leadership does not know whether it has a clear source of advantage, and perhaps has not even thought about the matter. Nonetheless, armed with the desire to grow they set out to scale up. When this happens, growth occurs without guidance and so a company ends up scaling without a strategy to sustain success. At DeRemate, leadership thought that growth was their strategy, and so they went on an acquisition spree without understanding why or how they would create value – an invitation to failure. The lesson: Growth is only a strategy if it is based on a clear source of advantage. Premature growth. In some cases, a company does develop a source of advantage, but too late to shape their growth. The pioneering online retailer Webvan failed for precisely this reason. A darling of the dot-com boom, Webvan and its founder Louis Borders (of Border’s Books fame) attracted premier venture capitalists and went public at record valuations. Using this capital, they built out an elaborate delivery system and infrastructure, and immediately scaled to various regions around the United States. As they grew, each of their regions then started down the learning curve, coming to understand the economics of online grocery delivery. Finally, their first distribution center, in the San Francisco Bay Area, went cash flow positive – the very day the company filed for bankruptcy. By growing before it understood how it created value, the company ended up a failure. (Note: Many of the trucks driven by Amazon’s delivery system today are repurposed Webvan trucks!) The lesson: Before you grow, understand your source of advantage. Rapid Growth. Oftentimes leadership in a company understands well its source of advantage, but by growing rapidly they may lose that advantage. Such was the case for the Mendocino Brewing Company. Founded in the small town of Hopland in Northern California, Mendocino was a ramshackle facility attached to a brewpub. The brewery, one of the original craft brewers of the modern era, was known for producing some distinctive beers, such as “Red Tail Ale.” But when they tried to expand operations, they did so very rapidly after an investment by a major international firm. Rapid growth meant relying on production from shiny new “turnkey” plants operated using standard industry practice. These plants turned out a beer that was much like the original Red Tail, but it had lost much of its distinctiveness. Today Red Tail sits on more retail shelves than ever, but it is very little different from the many beers around it. The lesson: Beware of rapid growth, lest you standardize and lose what made you unique. Growing Beyond Your Market. Professors Dan Levinthal and James March coined a term worth knowing: the “competency trap.” We all know about the problem of fighting today’s war with yesterday’s army. This error happens not because an organization is incompetent; rather, it is competent at the wrong things. So it goes with companies. Having succeeded, leadership is sure that they can now scale. But by scaling, they encounter different customers, new geographies, unfamiliar rivals, and various challenges for which they are not prepared. The archetypal case is the expansion of a retail business beyond its first location, as when a restaurant becomes a chain. This initial move is fraught with danger, and ends the life of many businesses as they discover that what made them succeed in one location no longer serves as a source of advantage in other locations. The lesson: know why you win in your current market – and what it will take to win as you grow. Research reveals two distinct paths to scaling up: marketing-led growth and “viral” growth. Marketing-led growth comes from actions taken by your organization to influence the purchasing behavior of customers, such as advertising and merchandising. Viral growth occurs when your existing customers influence others to become customers. Most growing companies experience both forms of growth, depending on their industry. Each path has its distinct challenges, but for both the key to success remains the same: Strategy. These days many Silicon Valley firms have no “VP of Marketing;” instead, they have a “VP of Growth.” And the change is more than just a name. Marketing can drive growth, illustrated nicely if you browse the internet for “growth hacks” dreamt up by clever marketeers. But take caution: Quick wins are short lived when it comes to growth marketing. Easy-come, easy-go has long been understood in the advertising business. Research shows that brand building takes a long time and consistent messaging. Jack Welch, former CEO of GE, used to say that a good market message needs to be “relentless and boring.” By that he meant that long after you are tired of your own message, it still needs to stay on theme because shaping brand identity takes time. To see for yourself, search up some cool Super Bowl ads of the past. Now look at the companies represented. Some are household names, of course, but some will be companies you’ve never heard from since. Drop into a “marketing strategy” meeting in many companies today and you’ll hear a lot of talk about LTV/CAC: comparing the “lifetime value of customers” to “customer acquisition costs.” Companies are focused on these measures because internet advertising allows them to make reasonably precise calculations of each. If you turn up the “spend” on acquiring customers, you’ll get growth, but are those new customers worth the price? A good deal of time is being spent these days calculating LTV/CAC in order to answer that question. Unfortunately, this question misses the point. Good brand marketing reinforces the company’s source of competitive advantage. That, in turn, translates into high “lifetime value of customers.” Shimano means quality to the bicycle enthusiast. Walmart means low prices to their shoppers. Ritz Carlton means luxury and service to high-end travelers. Marketing strategy is about aligning your message to your source of advantage, and that gives you high LTV. The tactical question of how much to spend acquiring customers is secondary, since it takes LTV – and thus strategy – as a given. Whatever the “spend,” marketing-led growth works to your advantage when it is guided by your strategy. Unless you have been lost in a cave for the past decade, you have heard about viral growth. Viral growth occurs when existing customers influence others to become new customers. The subject is an old one, based on the statistics of epidemiology, but it became all the rage in business with the rise of the App economy of iOS and Android. Whether you’re a developer or just a consumer, you know about the importance of viral growth. Experts on viral growth in business typically focus on what has become known as “growth accounting,” by which they mean the arithmetic of viral growth. It is worth thinking through the basics of growth accounting in order to see why strategy is essential to viral growth. Here I break down the discussion into three elements: contagiousness, susceptibility, and retention. Contagiousness. A customer who is introducing many other people to your product rates high on contagiousness. Contagious customers are the dream of every business, which is why so many companies calculate the “net promoter scores” of their customers. High NPS customers are out there doing your marketing for you. Susceptibility. A potential customer who is especially likely to become an actual customer is highly susceptible. A primary job of marketing is to identify susceptible parts of the market; hence all the attention paid to books like Geoff Moore’s Crossing the Chasm. These frameworks help you to identify which people (or companies) are more likely to become customers. The virality you experience depends on both contagiousness and susceptibility. If you measure contagiousness by N, the number of potential customers introduced to your product by your average existing customer, and if you measure susceptibility by p, the probability that any one of those potential customers becomes an actual customer, then your “virality coefficient” v is just the product v = N×p. Viral growth depends on the size of v. If it is greater than 1, then your company will grow explosively. But most companies have a virality coefficient well below 1. Nonetheless, since you are probably also generating new customers directly through other marketing, any virality will amplify the effectiveness of your other marketing activities. Many leaders think that their main job is to increase v, ideally until it is greater than 1. The “growth hacks” you may read about online typically aim to do just that. Some techniques focus on increasing contagiousness; others focus on increasing susceptibility. Of course, since v is the product of these two factors, you’ll need to make sure neither is too low if you want to increase v. Yet most efforts meant to increase v miss the point entirely. The important point is that if you increase v, you do so in a way that builds on your company’s competitive advantage. Otherwise, your “growth hack” will generate nothing more than a temporary flood of interest, followed by a downturn. For instance, you could give current users an extra incentive to spread the word, and they will become more contagious. Or, you could steeply discount your product so that more potential customers become actual customers, and they will become more susceptible. But perhaps neither of these techniques are based on your company’s competitive advantage. Consequently, you’ll get a short-run boost to size but not for the right reasons. None of your (now more numerous) users will be excited by your product, and so they will soon leave. In short, you should not force virality. Rather, you should design measures that increase virality by building on your company’s source of advantage. Looking again at Facebook’s internationalization, the user-generated-content translation platform allowed users to tailor Facebook to subtleties of language and culture in each country, which in turn increased the company’s virality in many countries despite the fundamental differences across these contexts. Retention. Perhaps the most neglected aspect of viral growth is the problem of retention, the rate at which customers remain engaged after they become customers. Think of your favorite flash-in-the-pan success: the short-lived cellphone game or the over-hyped software startup. Such products attract a great deal of attention and experience extremely rapid viral growth. But in no time they vanish because their customers move on. In the virality model, the retention rate is akin to the plug in a bathtub. Fill the tub as fast as you want, but if the drain is open you’ll soon be empty. When leaders focus exclusively on increasing virality, they enjoy the short-run gains of rapid growth, but without continued engagement they fail to retain customers and soon are history. Companies trying to increase retention do so by focusing on engagement. Specifically how you engage your customers depends on your source of advantage. So, in the end, the secret to viral growth – like all forms of growth – is for leadership to stay focused on its source of advantage. The lesson: Growth hacking may feel good in the short run, but in the long run there is no substitute for strategy. Levinthal, Daniel, A. and James G. March. 1993. “The Myopia of Learning,” Strategic Management Journal, 14: 95-112. More fundamentally, models of “diffusion” distinguish between broadcast and contact-dependent processes. See Bartholomew, 1982, Stochastic Models for Social Processes. NY: Wiley. The fundamental work distinguishing contagiousness and susceptibility in a diffusion model is found in Strang, David and Nancy Brandon Tuma, 1993. “Spatial and Temporal Heterogeneity in Diffusion,” American Journal of Sociology, 99: 614-639.